Edinburgh International Festival 2018; The Prisoner play, Edinburgh, Scotland UK. Edinburgh, Scotland, UK; 21 August, 2018. The Prisoner preview performed at The Lyceum Theatre in Edinburgh. 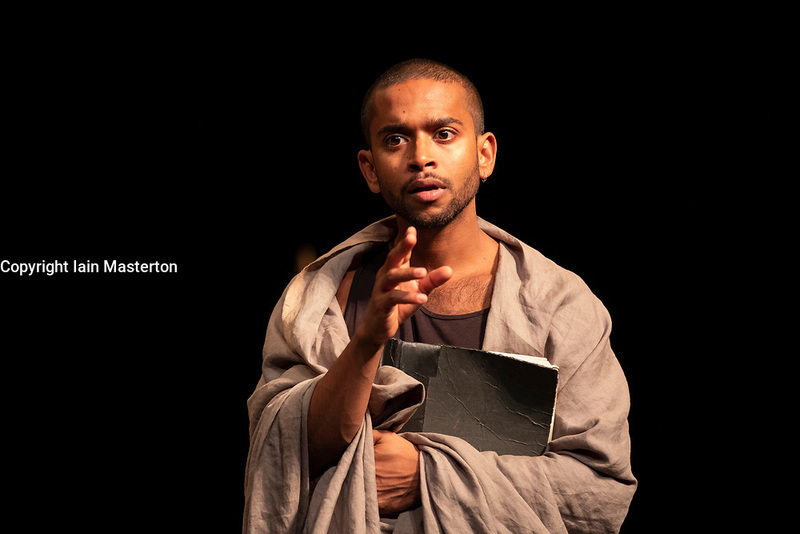 Asking profound questions about justice, guilt and who gets to decide what they are, The Prisoner brings together a multinational cast of acclaimed actors from countries including Sri Lanka, Rwanda, India and the UK. This is a provocative exploration of some of the most compelling issues of our times. The Prisoner is co-written and co-directed by Brook and long-time collaborator Marie-Hélène Estienne. The Prisoner is part of the residency of the Théâtre des Bouffes du Nord at the 2018 International Festival.